Whether it’s being eaten, cooked, grown, prepared, or cultivated, food is today’s hottest topic. Its many facets spur our interest, arouse our passion, and provide us with pure pleasure. Regional cuisines are becoming more dynamic ?even well beyond the areas where they originated. Vacations make impressions on our taste buds that are further developed at home. In addition to local delicacies, specialty markets are offering more and more international treats. Cooking classes serve as creative meeting points, market halls are becoming weekend travel destinations, and supper clubs are experiencing a growing popularity. Culinary magazines, special interest publications, and blogs are further fueling the current enthusiasm for food. 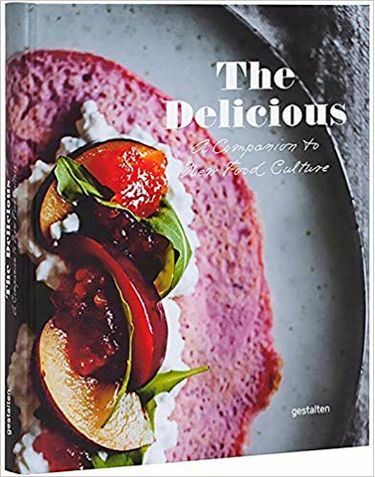 Against this background, The Delicious takes readers on a mouth-watering visual journey to discover what’s cooking around the world. It compiles developments in today’s new food culture, such as health conscious cafeterias, contemporary fast food, and restaurants with cutting-edge ideas, as well as innovative catering and culinary events both public and private. 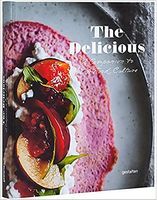 From experimental new dishes to modern interpretations of familiar classics, the featured examples will give readers new perspectives and inspire them to broaden their food horizons. Are they still making traditional pizza and pasta in Italy? What’s happening in Balkan cuisine? How should you prepare a roast these days? What about new energy smoothies or super-food products that are based on the traditions of tribes who lived in harmony with nature? The answers to all of these questions and more are explored in The Delicious. Other topics include inspirations from Korea and Chile, a Slow Food week in Tel Aviv, a gourmet shuttle through Helsinki, eating lotus blossoms and scorpions in China, trying freshly smoked fish, cooking turnips over a camp fire on the field where they were harvested, and learning how to preserve stone fruits just like our grandparents once did. The book introduces pioneers, traditionalists, and entrepreneurs who are enriching the culinary world with their concepts. It also focuses on local cultivation and environmentally responsible distribution to support sustainability and ensure the quality of meat and vegetables. In The Delicious, everything is possible, everything is delectable, and everything promises full enjoyment.